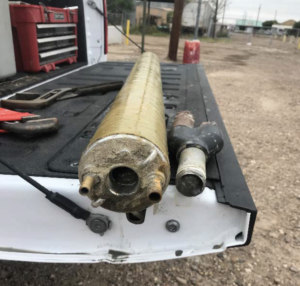 Description: In early 2017, TIS was contacted to provide assistance on an ongoing environmental remediation site in Laredo, TX. The site is an active rail-yard with multiple Light Non- Aqueous Phase Liquid (LNAPL) groundwater plumes and soil contamination. As this is a complex groundwater remediation project, TIS currently performs the following roles: groundwater/LNAPL level measurements, groundwater sampling, Oil Water Separator maintenance, air driven groundwater pump maintenance, manual LNAPL recovery, and general site maintenance. TIS is responsible for cleaning and maintaining groundwater pumps that remove the LNAPL, which is then pumped to the oil water separator. Due to the high mineral content of the groundwater, these air-driven recovery pumps have a tendency to scale up. To ensure continued operation of the recovery process, these pumps are pulled to the surface, cleaned of scale build up, thoroughly inspected, and returned to service. This cleaning process is done on site with proper PPE and spill controls in place to prevent additional contamination to the soil, which allows for minimal downtime. At the end of 2017, the client requested TIS to build a trailer that would be used to perform manual LNAPL recovery at outlying monitoring and recovery wells at the site. 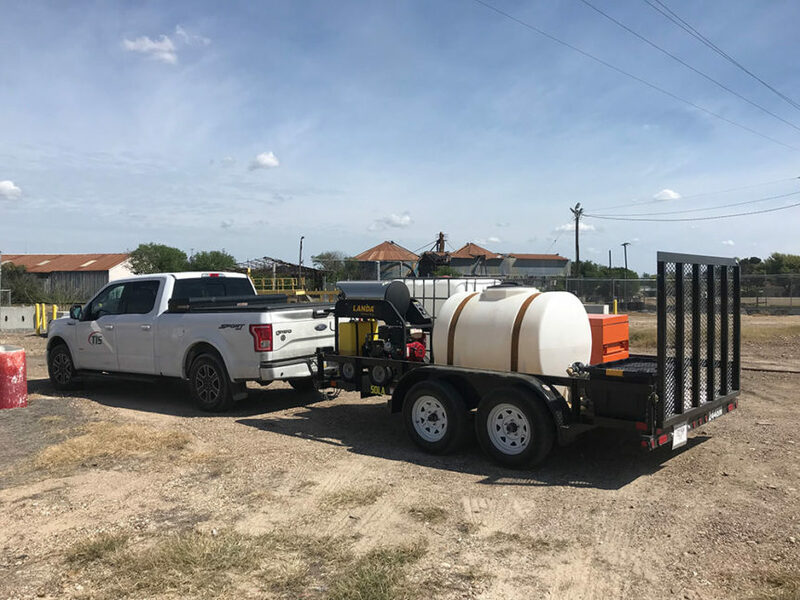 At the beginning of 2018, TIS built a trailer with a battery powered groundwater recovery pump and 250-gallon LNAPL recovery tank. 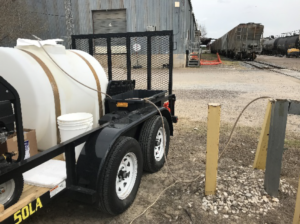 The trailer is currently being used to remove LNAPL from outlying wells, transport it to the oil water separator, and pump it out of the tank utilizing a double diaphragm pump. This method prevents the need to run expensive piping under tracks to capture the outlying contamination plume.